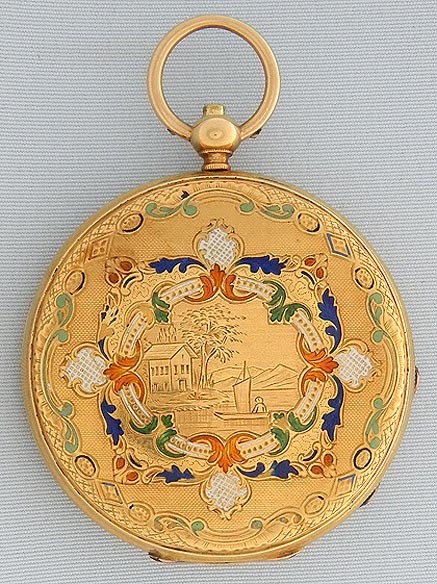 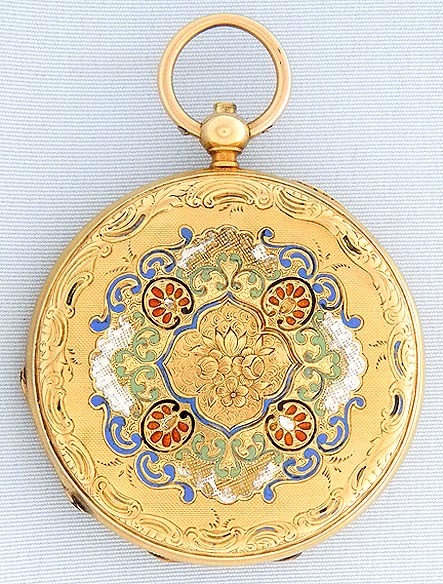 Fine, lovely and slim Swiss 18K gold and enamel ruby duplex ladies antique pendant watch by Montandon, Travers, circa 1860 The covers beautifully engraved and decorated with various shades of enamel (minor losses). 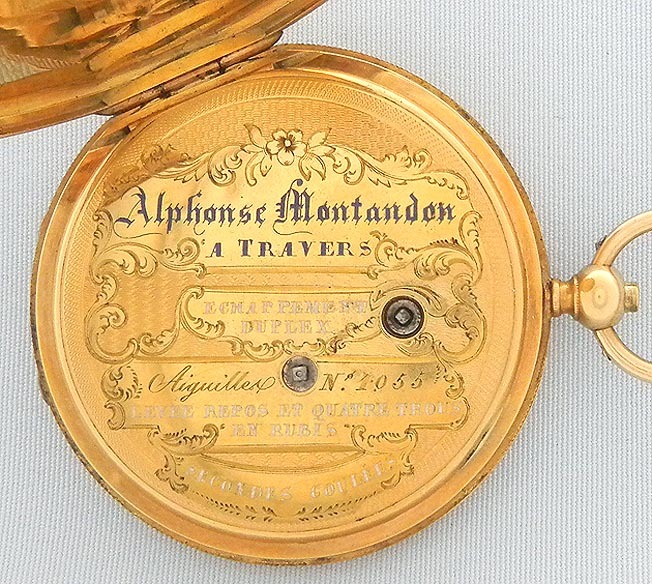 Engraved gold dial with black numerals and blued steel Breguet hands. 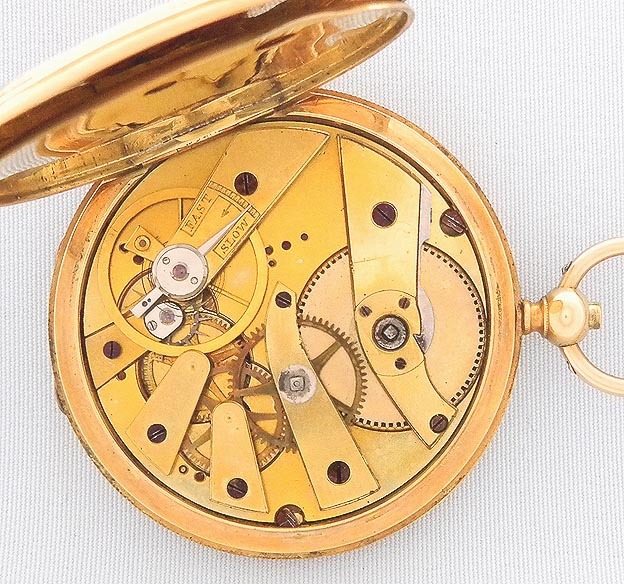 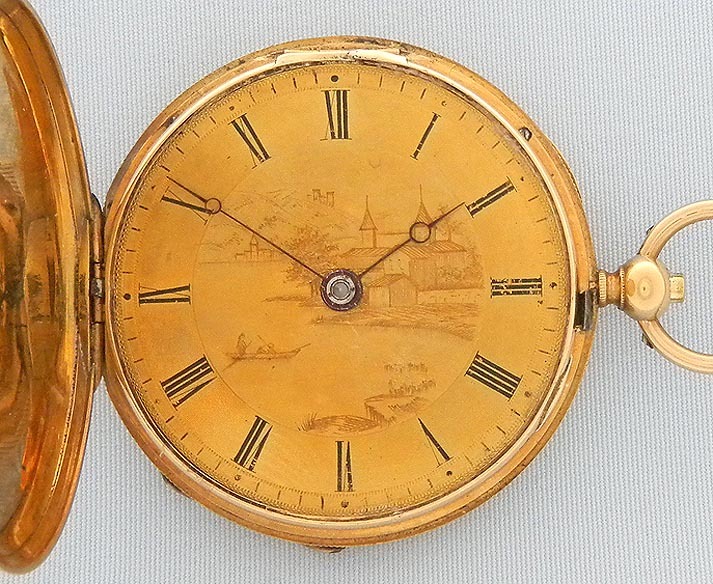 Gilt 9 jewel duplex movement.